Give your puppy a head start! 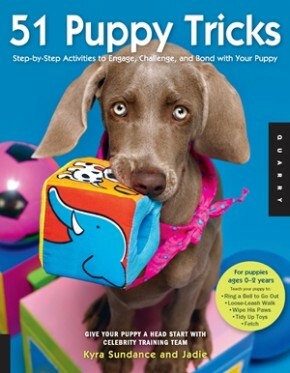 51 Puppy Tricks gives you the tools you need to teach your puppy essential skills, helpful behaviors, and fantastic tricks through step-by-step instructions and photographs. 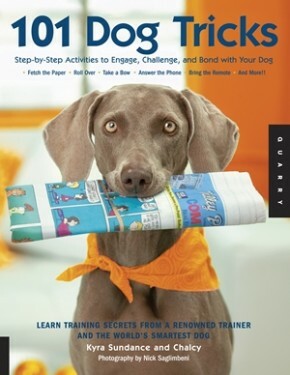 Tricks and tips are specifically designed for your puppy&apos;s developing mind and body. The first two years of your puppy&apos;s life are a crucial time in his or her development. By teaching your puppy early and using positive reinforcement methods, you will instill in him or her a cooperative spirit and a lifetime love of learning. Instead of focusing on curbing bad behaviors, this guide will help you establish a lifetime bond with your puppy as you teach him or her skills ranging from beginner ("come," "stay") to more advanced ("tidy up toys into a box,"fetch the newspaper"). An appendix lists the tricks by skill level so you can find the just the right tricks to teach your puppy. A glossary of terms ensures you&apos;ll know exactly what is being discussed. Bond with your puppy as he or she gains confidence and learns amazing new skills with 51 Puppy Tricks !